When people in Indianapolis, Indiana, face criminal charges, divorce proceedings or injuries caused by a neglectful party, they may turn to a competent attorney for help. 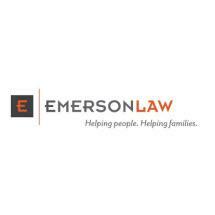 At Emerson Law LLC, we focus our practice on assisting those who are dealing with matters involving large truck accidents, car collisions, slip-and-fall accidents, wrongful death, medical malpractice, traffic violations and DUI charges. Our law offices also help those who are filing for divorce or legal separation and need help with child custody, parenting plans, child support, spousal support and settlement modifications. Attorney J.R. Emerson has successfully represented clients in numerous legal situations. As a former judge of the Whitestown Town Court, he has built a strong reputation for our law offices. Attorney Jill Bracken-Emerson has more than 20 years of experience trying cases in the area. Together, both attorneys are members of the Indiana Trial Lawyers Association, the American Association for Justice, the Boone County Bar Association and the Indianapolis Bar Association. At Emerson Law LLC, our attorneys have extensive knowledge of civil and criminal legal procedures. It may be difficult to make critical decisions during such an emotional time. We offer free initial consultations at our law offices to gain a deeper insight into matters and partner with our clients to form solid cases. In addition to other forms of payment, we are happy to accept credit cards as a convenience to our clients throughout Hamilton County.